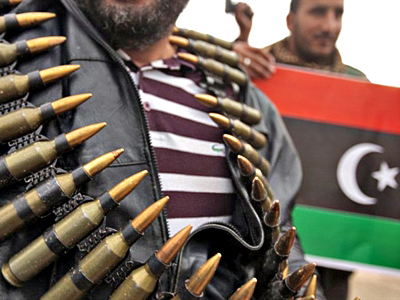 The Libyan leader Colonel Gaddafi is promising more violence if US or NATO forces dare to intervene, while the US is preparing for a humanitarian mission in Libya and the UK has already started one. Meanwhile, the UN is warning of a humanitarian crisis as thousands of Libyans flee across the border to Tunisia. The UN says at least 180,000 people have fled Libya so far, with about 75,000 of them arriving at the Tunisian border, most of them foreign laborers. Refugees are being housed, given water, food and medical supplies at the border points. But the situation on the border is approaching a real humanitarian crisis as border guards are struggling to keep the situation under control. 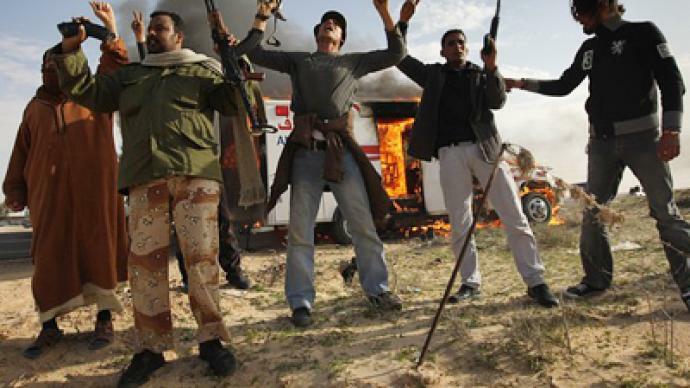 Fights are continuing throughout Libya between rebel forces and troops loyal to Muammar Gaddafi, particularly in areas around country’s capitol Tripoli, where government forces are trying to retain control by creating and preserving a buffer zone around the leader’s stronghold. There are increasing fears that the situation could deteriorate into civil war. 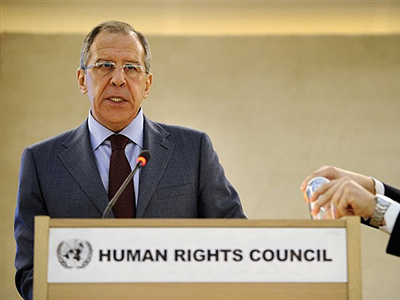 The international community has condemned the harsh methods used to crackdown on the opposition. 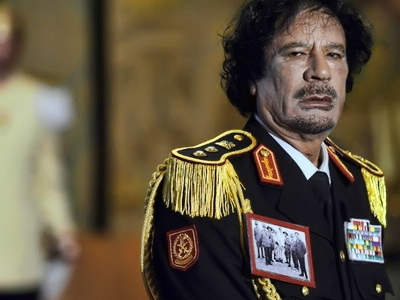 The International Criminal Court has launched an investigation into the actions of Libyan leader Muammar Gaddafi and his top aides for alleged crimes against humanity. And it is the first time the court has launched a probe into an ongoing event. 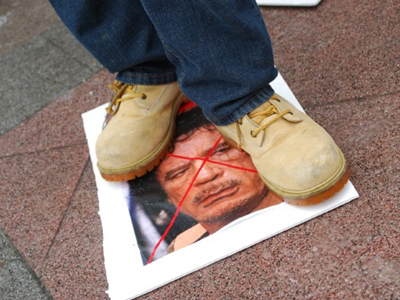 Still, the international community's hope that Gaddafi’s regime will fall any time soon may be a little premature. 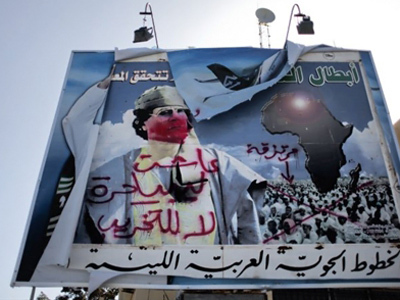 In his latest televised address, Muammar Gaddafi warned against international intervention. 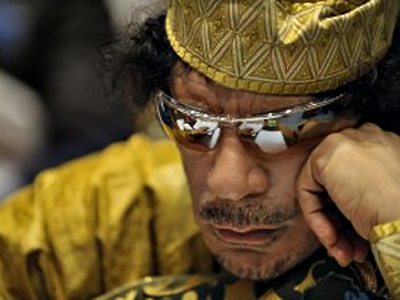 He said that thousands of Libyans would die to repel any kind of international forces on Libyan soil. He also said that he is only a symbol and the real power has always been in the hands of the people and that he does not have the authority to dissolve the government and implement any constitutional reforms. He also promised to fight to the last man to remain in power. Meanwhile, the UN is discussing the idea of a no-flight zone over Libya proposed by British Prime Minister David Cameron. If Cameron goes ahead and commits himself to it, in essence Britain will be committing itself to shooting down any planes in Libyan airspace. 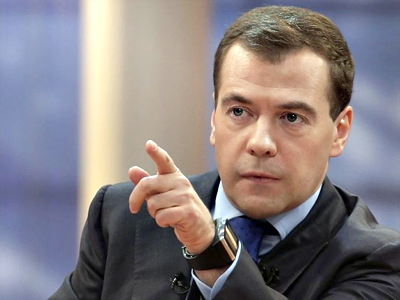 The idea has been rejected by many members of the international community, including Russia. 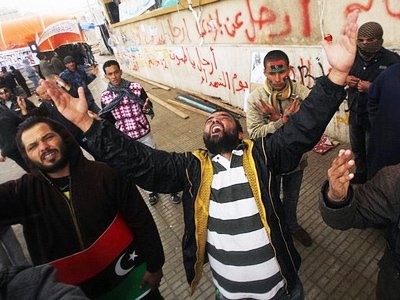 They say it is up to Libyans to determine their fate and the future of their country. It is worth mentioning that British SAS forces have been in the Libyan town of Benghazi for nearly two weeks now to cover the withdrawal of foreigners from the rioting country, but now there are growing concerns these troops could be used for special operations on Libyan territory – like gaining control over the alleged chemical weapons Libya might possess. 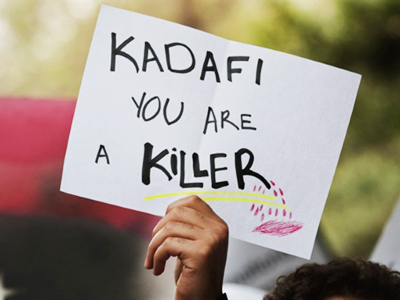 Earlier, London expressed concerns that Gaddafi’s regime may use such weapons against its own people. The locals on the island of Cyprus say that they have seen unusual activity around the two British military bases located there. They say that a large number of planes have been landing, supposedly bringing military forces to the island to be held on standby. 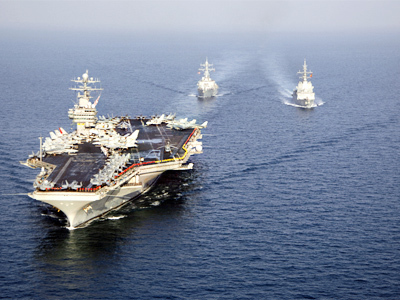 Washington has also explained the dispatching of warships to Libyan shores on the grounds of a possible humanitarian mission, but, as US Secretary of State Hillary Clinton put it, “all options are on the table”. It would seem the shadow of international intervention is standing straight and tall over the North African country. 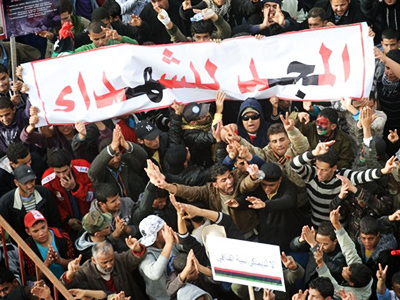 ­In just a few weeks, the unrest in Tunisia spread throughout the Arab world, and there are growing fears it could go further – to Pakistan. “It is very likely that whatever you see now in the Middle East is actually having right now an impact on the Pakistani political discourse,” believes Ahmed Quraishi, a political expert from Islamabad, but added that he is highly skeptical about an Al-Qaeda takeover in the country. Quraishi insists that the western media is deliberately exaggerating the role of Al-Qaeda in the political life of Pakistan because the US and its allies would like to see a continuation of the war on terror to justify their presence in the region and serve their strategic interests. On top of it all, most of the regimes in the Arab world have close ties with the US and “the last thing they would like is to see all these pro-American ruling elites really being toppled by popular discontent – which is very real and nobody is underestimating it”. She added that foreign intervention into Libya will be a tragedy for the Libyan people. Lindsey German from the Stop the War coalition says that the world has already seen the mess caused by intervention in Iraq and Afghanistan, and that the UK and the US should not even be thinking about trying to intervene in Libya.